The Codian robot is powered by B&R control systems – driven by four B&R motors – and is designed to perform with payloads of up to 3kg, with a working envelope of 1300mm. The MapleSim model was developed as a parameterized model which includes rotational position, inertia and ideal gear components from the 1-D Mechanical library in the Motor subsystems, and rigid body frames and multiple types of joints from the Multibody library in the Arm subsystems. 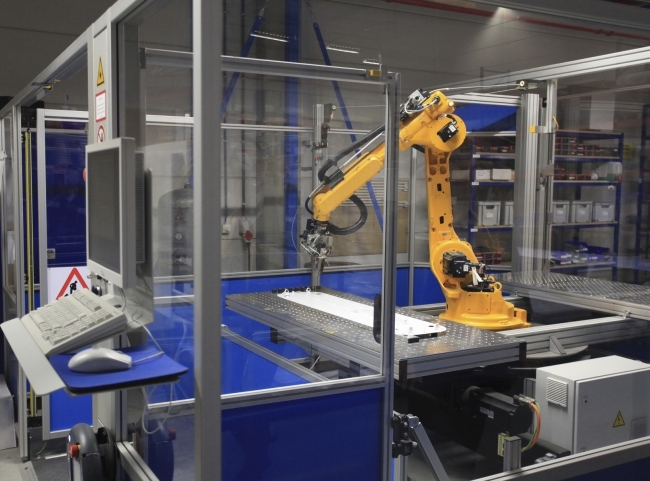 The physical parameters of the reference robot such as lengths and masses of the arms, mass and inertia of the tool, and inertia of the motors and their brakes, were then used to configure the MapleSim model.